Thanks, that some great insight you have on the draft pool. One thing I have always wondered is how recruiters can rate different draft pools. Say 2017 vs 2018 vs 2019. As now with multi year pick trading the ability to gauge whether focussing in on particular drafts is worthwhile. I also think it’s been a factor in some clubs previously not being able to reach a GF when others can. The hawks and cats seemed to get jackpot on their early 2000’s draft (albeit with priority picks and f/s boosters). Carlton, Dogs and Saints appear to have missed out a few times and I think it’s a bit of a difference in why GCS and GWS have a different path. I do acknowledge that individual recruiting teams, coaching development and club culture also plays a big part. But when you look at a 2003 where the dogs and blues got Cooney, Ray and Walker vs Griffen, Roughead and Franklin you have to wonder how much the draft year impacted clubs. I’m a bit gun shy on the talls going off recent drafts, both are very close to the 30 infact all of them you named are. Chirgwin I wasn’t as happy with when wathching old tapes, not overly quick and sometimes a bit soft, saying that he is at 32 so I’m far from given upon him, unfortunately he will miss the first 2 months of the season. I’m a fan of Carafa, tough with good composure and skill but need to see some better speed especially at his height. Bryan is currently my second favourite ruck in the draft, good athlete and not bad skills either. Key forward Charlie Dean kicked 5 goals after Sandringham beat Calder by over 100. Ryan Byrnes and Finn Maginess where sensational for Sandy in the middle with Daniel Mott and Sam Ramsay the standouts for Calder through the middle. For anyone who’s interested the NAB League (TAC Cup) has an app this year. It’s pretty good, helps you follow all the results and stats. You still doing your role with the unnamed afl team this year? Nope, moving back to Melbourne in 2 months. The brother of Paddy Dow is a chip of the old block, has the same speed, toughness and sharpness by hand. One to watch with our 2nd round picks. If you’re a “Chip of the Old block” of your “Brother”, … Taswegian, …??? The apples don’t fall far from the tree? If we failed to make the finals again this season I’d be all for blowing up the list and getting in as many draft picks as possible. Watching the Collingwood/Richmond game the difference between them and us is how many elite running midfielders they have who combine both speed and endurance. Heppell is consistently our midfielder that covers the most ground, but he is not exactly a natural athlete and he isn’t covering the ground at much speed. McGrath should develop into a running machine but we need more guys running through the middle who are natural runners and can cover 16+ kms every game at a decent speed. Obviously they need to be good at the football thing too. Those complete types are normally top 10 picks, but sometimes you can find some kids mid-late who are later to footy and come from an athletics background, like Tom Phillips, and therefore haven’t starred in the juniors, unlike Andy McGrath. Elite mature age mids, like Lambert, often have to develop an elite tank to make the most out of themselves and can be picked up cheaply and then utilised in a number of positions in the AFL. It’s important that we surround our core group of mids going forward; Heppell, Merrett, McGrath, Smith, Shiel (and potentially Parish, Langford, Laverde etc) who aren’t exactly super endurance/speed freaks (except McGrath) with guys who complement that deficiency. Brisbane and GWS are objecting to Essendon's ability to land the son of Lions great Chris Johnson. The Brisbane Lions have highlighted Essendon’s capacity to recruit the son of triple premiership Lion Chris Johnson as an example of how the contentious Next Generation Academies need to be reformed. The Lions have already told the AFL that Lachie Johnson - the son of ex-Lions great Chris Johnson - shouldn’t be eligible to join Essendon via the Dons’ NGA, and should only be eligible as a Lions father-son - a position that they will put on record to the AFL in the league’s ongoing review of the NGA and northern academies. 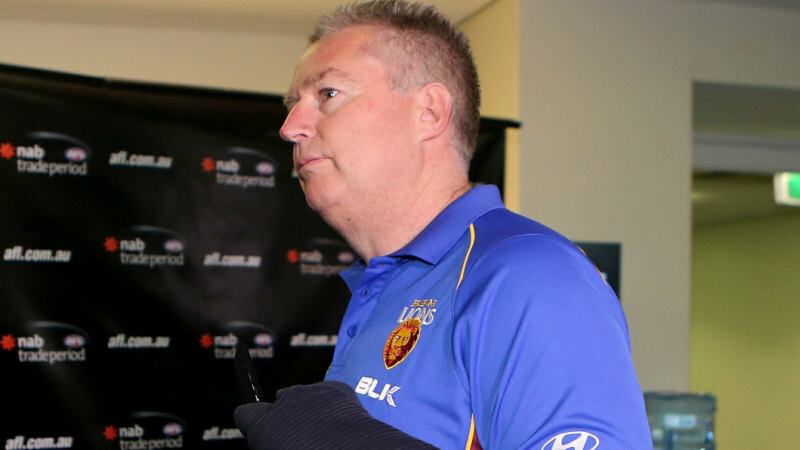 Brisbane chief executive Greg Swann highlighted Johnson - eligible to be a father-son for the Lions, but part of Essendon’s NGA due to his Indigenous heritage - as an example of a player who wasn’t being brought from outside the game, which was the supposed intention of the academies. “Our understanding of the NGAs are that they are to bring people into the system who are foreign to the game. We don’t think this fits that,” he said. The Lions have highlighted the example of Johnson as a matter of principle, rather than because he is viewed as a prized recruit in the manner of Marc Murphy, who was eligible to be a father-son but went at pick No.1 to Carlton instead so he could stay in Melbourne. Johnson has done comparatively little to date in the under 18s and it is unclear where he sits as a draft prospect. He’s playing for Oakleigh Chargers and for his school Scotch College, having been assigned to the Bombers when he lived in the Calder Cannons zone. But the Lions know that he is more likely to choose Essendon and stay in Melbourne if he is good enough to play AFL. Matthews called for the AFL to “change the eligibility criteria” for NGA, which he said had given Collingwood “a free hit with Isaac Quaynor” who was drafted as an academy recruit last November. The Magpies were able to trade their first draft pick last year and still land Quaynor with later choices via the points system, which is also under review. To qualify for NGA - confined to the 14 “southern clubs” - a player must be born or have one parent born in Africa or Asia, have both parents from a non-English-speaking country or have Indigenous or multicultural heritage. Quaynor qualified due to having an African-born parent, despite having played in elite junior squads, while North Melbourne gained Tarryn Thomas, a highly-rated Tasmanian who likewise had been rated among the top prospects for years, due to Indigenous background. North also tradec their first draft pick and still gained Thomas with a bid, as did the Swans with Nick Blakey, who was part of their academy for local players. The AFL has ex-Carlton football operations boss and captain Andrew McKay reviewing the NGA and northern club academies, with the NGA expected to be revamped and criteria for players tightened. The objections of the northern state teams to the NGA academies is a reversal of what took place with the arrival of northern academies, when strong Melbourne clubs, led by Collingwood, fought against and succeeded in persuading the AFL to remove Albury from the GWS academy zone. Matthews said there had been “hysteria over Albury” and that GWS, unlike Melbourne clubs, did not have access to father-sons. The NGA were introduced partly as a compensation for the northern club academies. Just came here to post that article. While it is clearly rubbish, he does get to choose. And is it any more rubbish than the Swans getting hold of Nick Blakey? No, it’s exactly the same amount of rubbish. GWS and Brisbane complaining about academies?